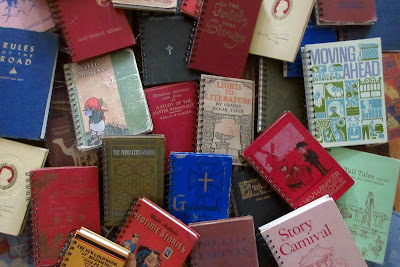 Upcycled Old Books Ready to Be Refilled. Careful Redemption of Forgotten Volumes. There's something so beautiful about old books, especially as we become more dependent on digital media. Book binding is becoming a forgotten art as we shift toward a paperless world, but thanks to crafters like Leigh and Brett of Junk Town Revival, abandoned books have renewed purpose. These Louisiana based upcyclers decided a few years back that they wanted to make use of the beautiful old volumes they find, and they have turned that into a bustling business. You can find these two at a variety of art events across the south, including our local Pecan Street Festival, which is where I first discovered them. At any given fair, you're likely to see a handful of people flipping through all of the different covers to pick one that speaks to them. Maybe it's a childhood favorite or a vintage total related to your interests. The options are always changing. Digging deeper into what seems like a simple, but worthwhile craft, I was really inspired by their passion and process. It's really neat that Leigh and Brett are able to translate one of their personal guiding values into a product that people can enjoy. They are big believers in rescue and redemption, which is how they see so much opportunity in old, sometimes damaged books. 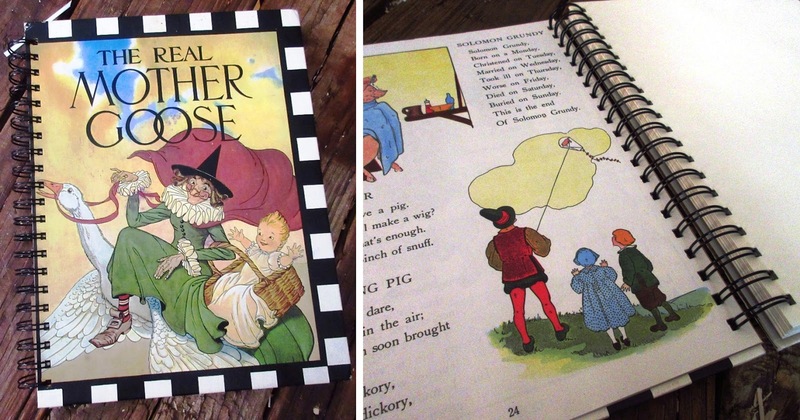 As they disassemble the cover and pages, they preserve anything that is in good enough condition, like pages with lovely retro illustrations, and then they repair what they can to make a new journal or sketchbook out of the pieces. They add clean cotton paper ready to be filled with new words, drawings and ideas. All of a sudden, the book is new and available to anyone with something to put down on paper. I have great respect for crafters like Junk Town Revival how make use of something neglected that is still so useful. Forgotten, but not lost. Renewed and ready to inspire.